Our technology partners extend your content infrastructure with software to help you work more effectively. Work with the products you already use and discover new ways to enhance your platform. Our powerful GlobalLink solution allows you to automate, control, and track all facets of the translation process, empowering developers and content creators to launch multilingual user experiences for any device in half the time and cost. Amazon Web Services is the leading cloud platform to offer compute power, databases, storage, and other services to help modern businesses scale. Deploy modern static websites with Netlify. Get CDN, Continuous deployment, 1-click HTTPS, and all the services you need. We are the #1 analytics platform helping companies build better products. 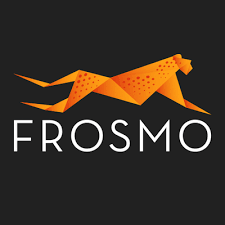 Frosmo offers the platform to manage and develop front end on top of any content management system, ecommerce platform, and marketing stack. It is great for continuous front-end development, experience optimization and personalization. Algolia is a powerful search-as-a-service solution, made easy to use with API clients, UI libraries, and pre-built integrations. New Relic gives you deep performance analytics for every part of your software environment. You can easily view and analyze massive amounts of data, and gain actionable insights in real-time. Want to see your technology work with Contentful? If you’re building something new and looking for a unique way to partner with Contentful, we’d love to hear from you.